Well folks, we did it. We made it to the final Pathfinder Battles: Kingmaker preview. Were there delays and complications along the way? Sure. But no kingdom rises from nothing without pain and struggle. And I couldn't have done it without you, fair citizens. Your taxes will go to the establishment of nothing but the finest of statues in my hon—...wait, it wasn't me that got king-made? That means I have to do my job and show off these last few minis, doesn't it? We're left now with six unrevealed figures that exemplify some of the weirder fantasy elements in the Kingmaker campaign, so I won't bore you with further theatrics. Just imagine what would happen if a bunch of drunk proto-deities made a first draft of the world, threw in some magic and glitter, and then sort of left their creations to evolve in isolation for a few millennia. That's how you end up with things like the strange (but incredibly cute) fey dragon, a Small common figure. How does something so silly looking even fit into an ecosystem without going extinct? By having magic powers, that's how! It's not the only creature in the set tainted by magic and a pastel filter. Check out this dwoemercat, a creation of none other than Ed Greenwood, for the very first volume of Kingmaker. What better size and rarity could one ask for in a dwoemercat than Medium and common, respectively? No better size and rarity, I say! Are you liking the fuzzies? Here's another new fuzzy, albeit a waterlogged one. The fur on an ahuizotl clumps to form weird little spikes, hence its name, which translates to "spiny aquatic thing" according to Wikipedia. Originating in Aztec myth, these Large rare cuties like human flesh, “especially nails, eyes, and teeth.” YUM! But wait! It gets cuter! Who's a good boy? Trollhound's a good boy! Yes he is! Look at that well maintained coat of luxuriant mussed hair and thick hide of trollish green. He's even trained: "Roll over! Sit! Don't eat me!" Well, two out of three isn't bad. Cue Sarah McLachlan music. Give this poor creature a home, because every Medium uncommon figure deserves a chance to murder PCs. Ok, I admit I may have gone overboard with the whole "things get weird" blog theme, but I'm committed now, so there's no stopping me. Spider-man himself couldn't put an end to my antics! Not even Pathfinder's own version of Spider-man, the web lurker. Less an awkward nerd bitten by a radioactive spider and thrust into a life of crime fighting, secret identities, and heartbreak than a literal man-spider, the web lurker is a Medium common figure who can't wait to be your friendly neighborhood aberrant horror. Finally, we have the weirdest addition to the set yet, as saving the best for last seemed appropriate: a danged-old gnome! Here, good reader, we have a fine specimen of pedantic, pompous, and generally insufferable gnome alchemist, the inimitable Jubilost Narthropple. In his myriad published works, he makes an irrefutable case for being the best companion in not only Pathfinder: Kingmaker, but in the entirety of Golarion and the history of CRPGs as well. 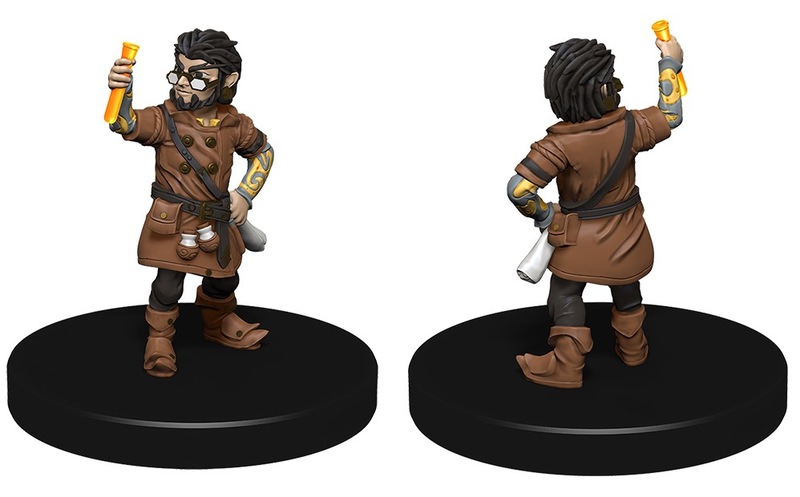 It is only fitting, then, that he offset his Small size with an uncommon rarity, so that no adventuring party suffers the indignity of not having him along to tell them everything they're doing wrong. Pathfinder Battles: Kingmaker comes out on October 24 in game stores everywhere! Don't miss it! Your king commands it! The Starfinder minis packs are out in stores and they look gorgeous. They will also have reached most of Europe by next week. You will have to trust my word as we sadly didn't get any pictures here and get them while they last, as i don't think there will ever be a reprint or any other prepainted Starfinder minis from Ninja Division. I agree. The ones I saw were really meticulously painted. I had the odd issue with colour choices and the faces were a bit underdone, but imo it is far superior to err on the side of undetailed faces as opposed to the heavily made up clown look you see from time to time. The ships looked good too, though I expected that as they’re a little simpler. Like Marco, I’m also very doubtful there’ll ever be a reprint. Unlike you, Pigraven, the previews will definetly make a difference whether I continue my subscription for Lastwall. Now, Idon’t need to be fed weekly previews, and actually, the information doesn’t have to come from Paizo’s site directly. I do enjoy hearing what insights Mark (and previously Erik) have to offer about the sets. But, ultimately, I’lljust need to see something about set composition and hopefully an “unboxing” before I OK my subscription. I am at the same point as you, Berk. Kingmaker was such a bad quality and i already had most creatures in the set (Trolls, Manticores & Hill Giants by the dozen). The Spriggans were cool, but i got only 2 of each. I also have over 100 different humans, probably over 300 and don't need any more of them - not a single one. Same goes for Halflings, Elves & Half-Elves. Dwarves are not so overdone, yet i already have dozens. Why not more Orcs and other races (like Kitsune)? 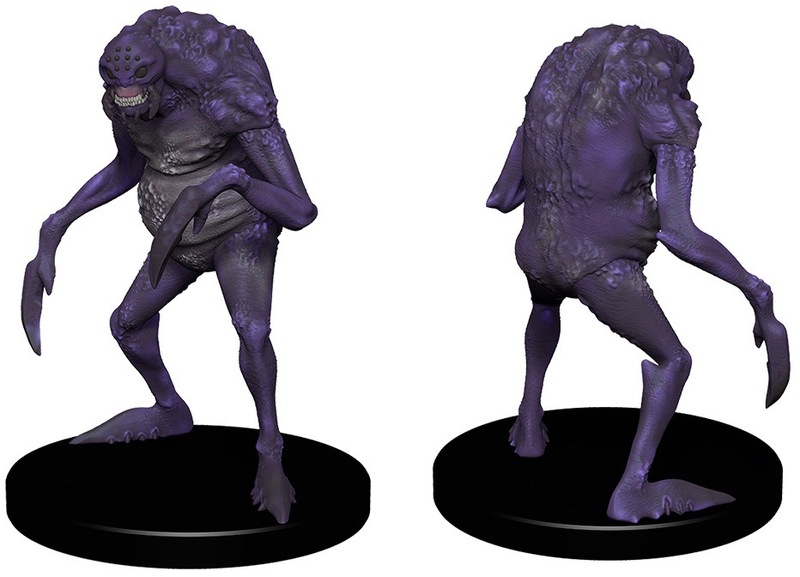 I also want 30+ monsters in a set and not more than 33% human(oid)s.
There are lots and lots of creatures that are the same in PF & Starfinder (It was great to have 4 Akata minis) - produce them instead! The Ruins of Lastwall renders need to be previewed asap, if they are not mostly shown until february, i'll just order one brick & the incentive. I also won't continue to buy boosters after that set and just grab singles, if i don't know how PF 2.0 will change things in the future far enough in advance. As it is, i am missing under 20 creature minis from the Pathfinder Bestiary, most of them huge or tiny and D&D looks to be producing most of the huges soon. I hadn't thought about Lastwall being the last 1st edition set. Hopefully the 2E Bestiary will be different enough from 1E that the next PFB set won't just be Heroes and Monsters with new sculpts. For all its faults, 4E changed the MM so much that the DDM sets that followed were just as varied as the 3E sets. Are this may be a stretch, but I wouldn't mind if Starfinder got a set in lieu of a regular PFB set or if some SF figures were sprinkled into PFB. I already know i'm ordering a case! I'm also in for a case for sure. In the past it was a case of PF Battle and 2 or 3 brick of Icons of the realms. I will probably switch this in favor of Icons for the early 2019 releases. I think the absence of blog hurt. More so after a not so good set like the last. In the past I would have bought a case without knowing what was in the set.. but I'm not as confident now. Like others have said, more monster and less humanoid(the common one) would be more appealing...And the next Icons of the realms seems to go that way... and the huges are a bonus. When I know what's in the next set I may change my mind and go for a case, but I'll wait to see. -Pathfinder Battles #16 "Ruins of Lastwall"
-"Pathfinder Battles Iconic Heroes Evolved"
I’m actually happy we are getting a little more breathing room between sets. With the next Pathfinder Battles set coming out in about 4 months and Paizo seemingly not wanting to advocate the Ninja Division Starfinder minis more than they already did (which i can understand), i don't think we will see any more blogs in 2018. I'll gladly be proven wrong, though. Yeah, it's the same with my group & me. We love Starfinder, but feel that it isn't getting enough love from Paizo (choosing Ninja Division despite multiple warnings has cost Paizo a lot of sympathy, but having next to zero minis is worse). The Beginner Box in april 2019 is nice, but no hardcover in the first half of 2019? There could also be more flip-mats taken from the inside illustrations of the APs. We were very excited for the Pathfinder Playtest, but that shifted to the exact opposite once we played it. Now nobody is excited for PF 2.0 anymore. Personally i notice that updates and previews are taking much longer than usual and although i know this has to be because PF 2.0 takes up manpower and has priority & the holidays do their thing too, i feel that communication has reached an all-time low. And Paizo has become such a great and well-loved company because of their willingness and time to talk to their fans and customers. Personally i think it wouldn't be a problem at all to do a weekly minis blog (i could write one in about an hour with the Deep Cuts line, if nothing else) or to give a statement like, for instance: "We are planning a Pathfinder Battles set of some sort after "Ruins of Lastwall", but we havn't worked out the details yet." Fact is, that Wizards of the Coast is doing a better job with communications these days than Paizo and that makes me sad, as i like Paizo much better and want them to stay my favorite games company for the future. But there needs to be more frequent communication. I've said the following more eloquently elsewhere, but I agree with you folks that engagement and excitement is at an all-time low right now. I don't understand why this is, but Paizo has chosen to not capitalize on the PF2 hype, and now we're just in this... lull. I bought 3 more boosters of "Pathfinder Battles: Kingmaker" today (in addition to the two bricks i already bought when it came out) to to fill some holes in my collection & also one brick of "D&D Icons of the Realms: Guildmasters' Guide to Ravnica" & the case incentive. These two sets are not even close in quality. While both sets have good sculpts and the minis are comparable sturdy, the paintjobs of the D&D minis are of a much higher detail, especially when i compare the faces. You can also easily see that a lot of the large Pathfinder minis have been glued together from multiple different parts, which isn't the case with the large D&D minis. 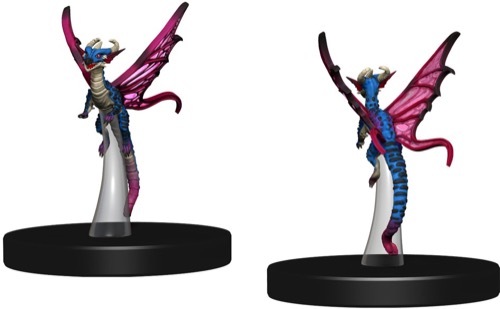 I really hope that Paizo is able to get a better quality of paintjobs out of Wizkids with the next set and that this was a one time only drop in quality. I know that Wizards of the Coast is able to apply more pressure, but the retail price for both lines is the same, even if sales for D&D are stronger than for Pathfinder. The five different "Pathfinder Battles: 2018 Promotional minis" are now available from Paizo.com! Hey folks. Thanks for keeping the watchfires burning. I'm submitting a few weeks worth of blogs to the web team today, so look for Ruins of Lastwall previews to start up in the very near future.